Soup in the summer? Yes! This soup tastes great hot or cold. In the summer or winter. It is very versatile. Top it with sour cream or a chiffonade of basil. Serve with grilled cheese, mac n’ cheese or a simple salad, crusty bread and a glass of wine. I use chicken stock in the winter to give the soup a heartier flavor. 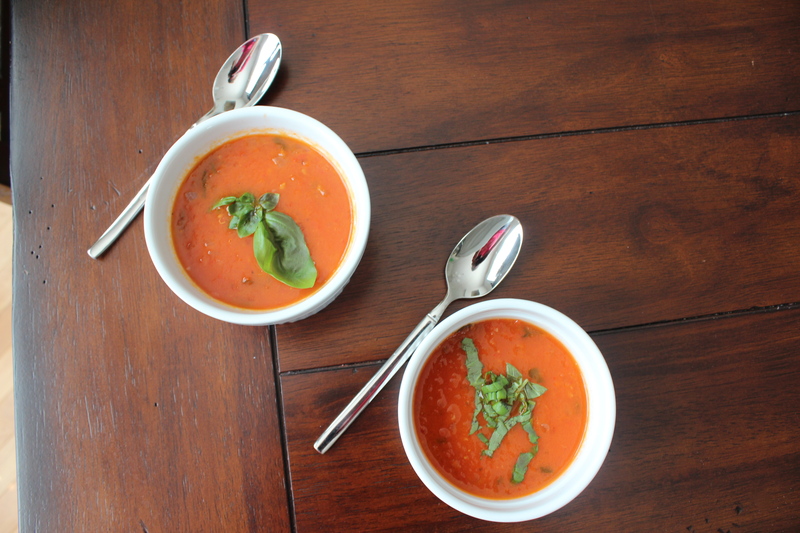 In the summer, the water works well and makes the soup a bit lighter. Preheat oven to 400 degrees. 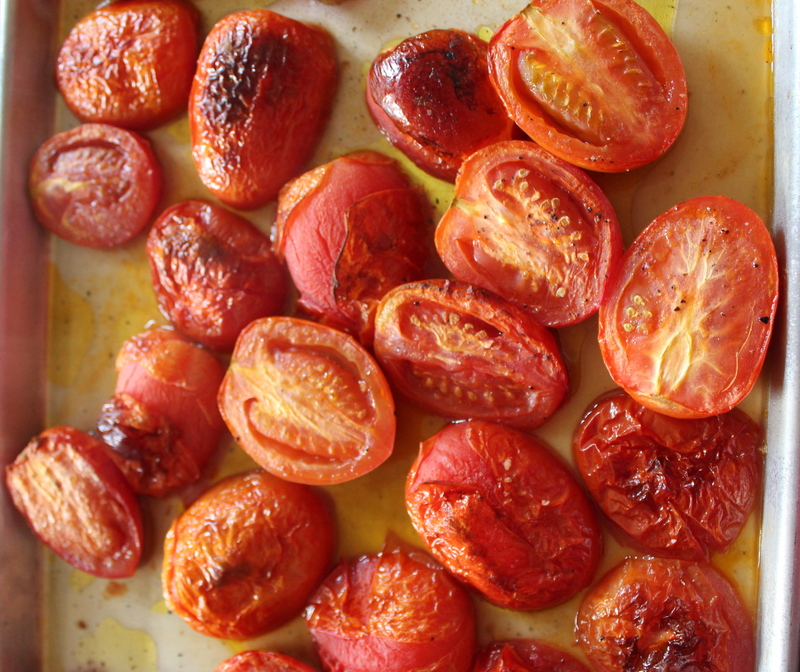 Toss together tomatoes, salt, pepper and 1/4 cup olive oil on a rectangular sheet pan. Roast for 45 minutes. In a large pot over medium heat, sauté onions, garlic and red pepper flakes with remaining 2 Tbls olive oil and butter. Cook for 10 minutes until onions start to brown. 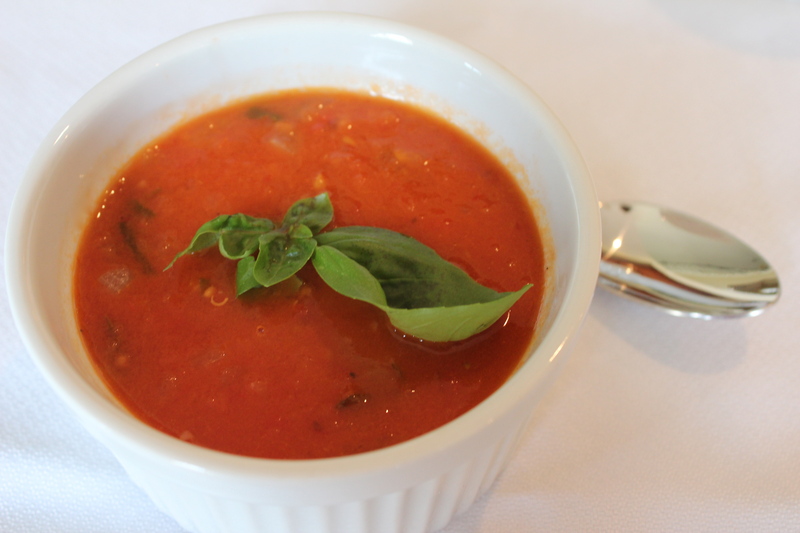 Add crushed tomatoes from can, roasted tomatoes from pan (including juices from the pan), basil and water or chicken stock. Bring to a boil and simmer for 45 minutes. 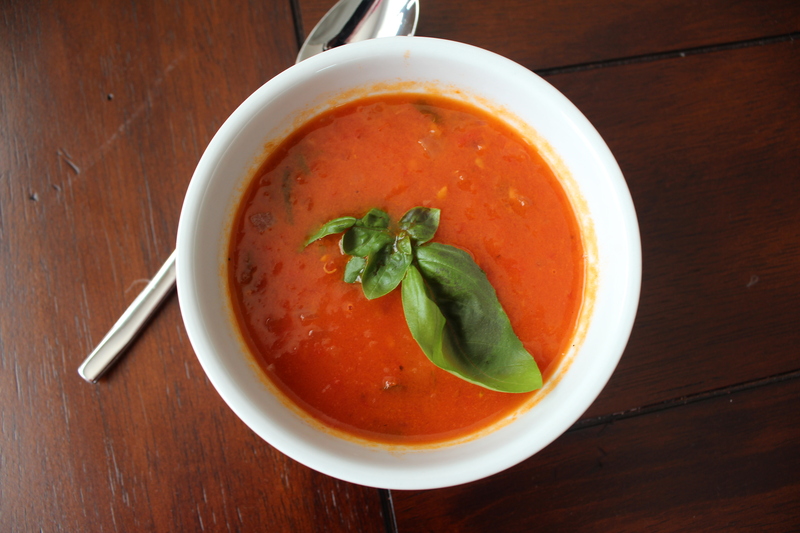 Use an immersion blender or, working in very small batches use a blender to blend the basil and tomatoes into the soup. Caution! Hot liquids can pop the top right off the blender and cause serious burns. Freeze some and use within 6 weeks. Great idea for light summer dinner.